Last weekend we were in Dasma Cavite to have an advance birthday celebration of me and my brother. As usual, the place is chaotic since there are four kids who are battling their turns on the PC with a DSL connection. Apart from them there are three adults who are waiting for their turns as well...hehehe. I got the chance to talk to my aunt via Skype who made a follow-up on my brother's PSP which she bought 2007 as Christmas present. Currently that game console is broke and she knew about it. She wants the unit to be repaired so my brother can use it. I promised that I will do it this week but somehow I have a feeling that it will not possible. I just hope that she won't remember it anytime soon. My husband on the other hand keeps on asking me about his Nintendo Gameboy which my grandmother kept out of my cousins and brother's hand. Sadly my grandmother can't remember where she kept the gadget and I feel bad for hubby. 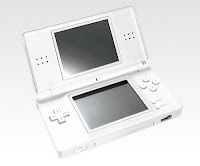 I was thinking if giving him a Nintendo DS Lite for Christmas will compensate for the "lost" toy of his. 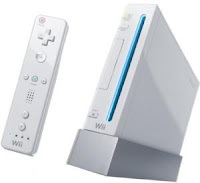 I on the other hand will love to have a Nintendo Wii because it's very interactive and while you're enjoying the game, you wouldn't notice that your body is getting an exercise that it needs. I was reading a lot of feed backs from a yahoo group in which I'm a member how effective a Nintendo Wii Fit as an exercise workout. I would love to try that and the Nintendo Wii Sports. I just remember that Hubby still has the old version of PS2 which he bought in Japan, five or six years ago. The unit is still working and the only problem is the video game controllers. I wonder how much the game controllers are nowadays. It's a shame that the very first toy that he bought has not been used for awhile now. I think it's time that he brought it out from the storage and used it otherwise it will be such a waste for it to be useless. Happy Birthday to my Bro!